It didn’t take very long for the Peterborough Petes to make an early impression last season. After a run to the Conference finals the year prior, the bar was set high for a Peterborough team with a similar cast of returning players. Part of that group was 17 year-old Hunter Jones. After a season with Stouffville in the OJHL, Jones was finally ready to make an impact in Peterborough after being drafted by the organization in the 5th round of the 2016 OHL Priority selection. But after a strong start, things quickly began to slip away from Peterborough. “Things kinda went off the train tracks”, says Jones. “We were up really high at the start of the season with a really good start. But then we ran into some injuries and guys being out during the season”. 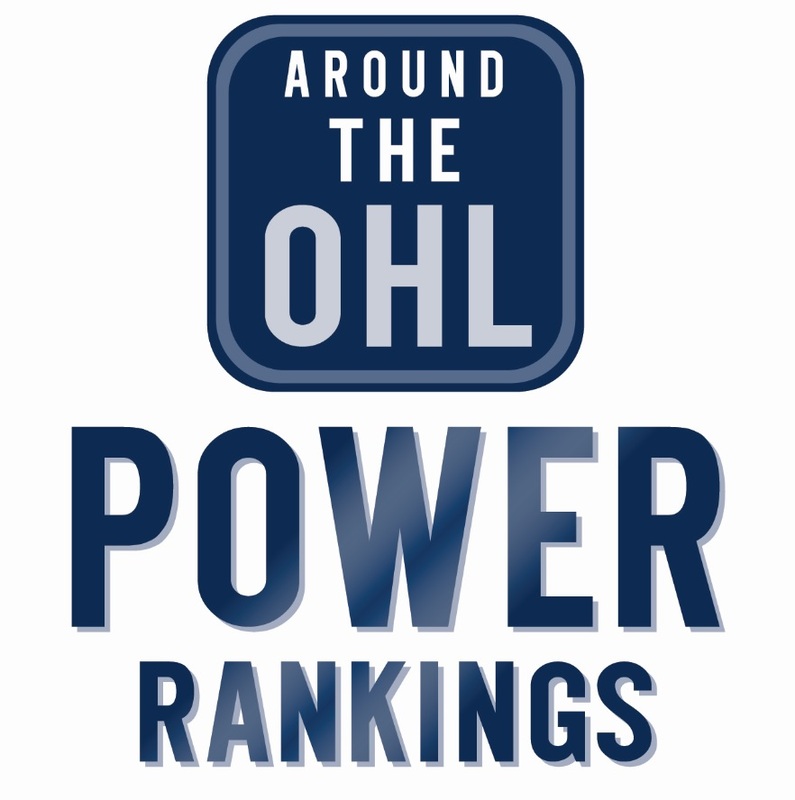 At one point the Petes were in the CHL top 10 power rankings, sitting comfortably in the top-half of the OHL’s Eastern Conference. But they fell into a slump of losing 10 of 11 games between December 8th and January 6th, a slide which they never fully recovered from. The stretch run was tough on the organization, but even more difficult for a young goaltender like Jones, who also experienced his individual struggles. Jones went 12 straight games without a victory, finally getting his third of the season against Oshawa on March 16th, after getting his second of the season back on October 13th. “For Hunter [Jones] it was not all his fault. It was more us putting him in three in threes up in the Soo, and Sunday afternoon games in Ottawa at 2pm after bad travel”, says assistant coach Andrew Verner. “Because he wasn’t able to stay in great shape through gameplay, and he was in high school, wasn’t getting to the gym as much as he should’ve, he had some real tough setups”. If there’s anybody on Peterborough who can relate to the struggles of being a goaltender, it’s Andrew Verner. After playing three years with the Petes, Verner went on to have an 18 year career in pro hockey. Over that time, Verner experienced his fair share of ups and downs. “You’re gonna have [bad] years like that. I had that talk with Dylan Wells after his second season in the league which was also his draft year. We definitely had that talk with Hunter too. But he’s a little different situation. Even in my worst year I played about 60% of the games”, says Verner. Jones is still very much a project player for the Petes. He only saw 15 games of action last season playing behind Dylan Wells. Now with the starting position up for grabs in Peterborough, Jones thinks he can have a better season partly by virtue of more playing time. “Once things get going here again and I get into a rhythm playing a lot more, I think I’ll have a lot more success”, says Jones. “I don’t think I’m a backup goalie by any means. The Petes had a great goalie tandem last year in Dylan Wells and myself, so I think they were in a tough position where it was tough to know how to approach things. Whether they were doing the best thing for Dylan and trying to develop me at the same time”. The numbers may not be pretty for Jones, but the ’17-18 season still yielded improvement in his eyes. “I think I got some good experience in the league. Just coming in and playing a couple preseason games in my 16-year-old year, and then finally being able to be part of the team full-time as a 17 year-old was great”, says Jones. “My mentality going into every game was, ‘I’m meant to be here’ and going in there and doing my best every night”. Verner also still likes what he sees in terms of potential with Jones. “We expect him to be an above average starting goalie in this league at 18”, says Verner. “If I was an NHL team, and there’s already been a lot calling me about him, I would expect him to be somebody that teams are watching quite closely throughout the year. He’s got the body for it, we think he has the makeup for it, but the proof will be in the pudding”. If all goes according to plan for Jones and the Petes, things will be much different this year. Not only will Jones see more playing time, but he comes into the new season an improved athlete. “I’m trying to get him to use his size. I’m trying to get him to simplify his game. He’s 6-foot-4, 195 pounds. He’s been that height for about two years, and he was actually a little heavier. So he’s come back in much better shape”, says Verner. “It was his mantra that we sent him home with this summer. If you wanna play 50+ games in this league you gotta be able to play back-to-back, maybe three in three, so you have to be a very well-conditioned athlete. He definitely came back as our most improved returning player in terms of fitness”. As far as the mental side of the game goes, Jones thinks keeping a more positive attitude than he had last year will lend a hand to a successful season. “I just gotta keep a positive attitude throughout the year. I think that was my biggest challenge last season, was getting caught up in the big picture of it all. Knowing I wasn’t playing as much as I wanted to, and that kinda got to me a little bit with my negativity throughout the year”, recalls Jones. “The test will be when he has a bad game”, says Verner. Bouncing back will be a theme not just for Jones, but the entire Petes organization. The regular season offers a clean slate, and a brand-new opportunity for Jones and his teammates to make headlines for the better. But for now, Jones wants to keep his expectations simple and realistic. “I’m taking it day by day and just playing as well as I can every day and helping my team to win every night”, says Jones of his expectations for the season. “I’ve set a lot of personal goals for myself. Striving to stay above a .900 SV%, and keep my goals against down”. Those goals aren’t anything out of the ordinary, but the Petes hope Jones can use them to help them do something extraordinary. Tags: OHL, Peterborough. Bookmark the permalink.